Part of their new Flavours Without Borders, McDonald’s has introduced about 12 new dishes to their fast food menu. And one of those is a Chatpata Naan. 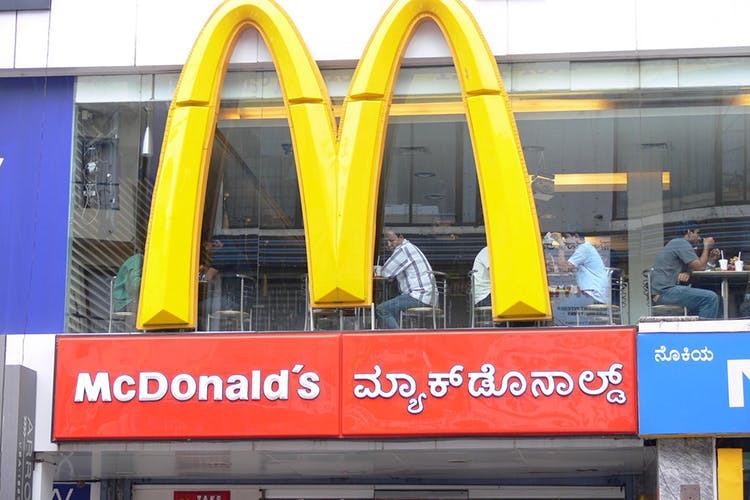 Sounds strangely exciting because, let’s be honest, despite all the complaining, this chain somehow manages to combine two favourite to make a third favourite — remember the Maharaja Mac? So now when you can’t pick between Indian food and a burger, just have the Chatpata Naan which is a twist of the stuffed naan. Think crisp aloo or chicken patty drizzled with a tangy sauce similar to the one on your McAloo or McChicken burger, and garnished with onions, then wrapped in a grilled naan. Almost like an enchilada but not quite. Since fries are bae, have the meal option which as usual, add a soda and fries to your meal. And the best part? The naan on its own is INR 49 for the potato option and INR 65 for the chicken. While you’re at it, why not finish off the meal with the newly added Phrinee McFlurry. And tell us how it is because we’re a little bit sceptical about that one.